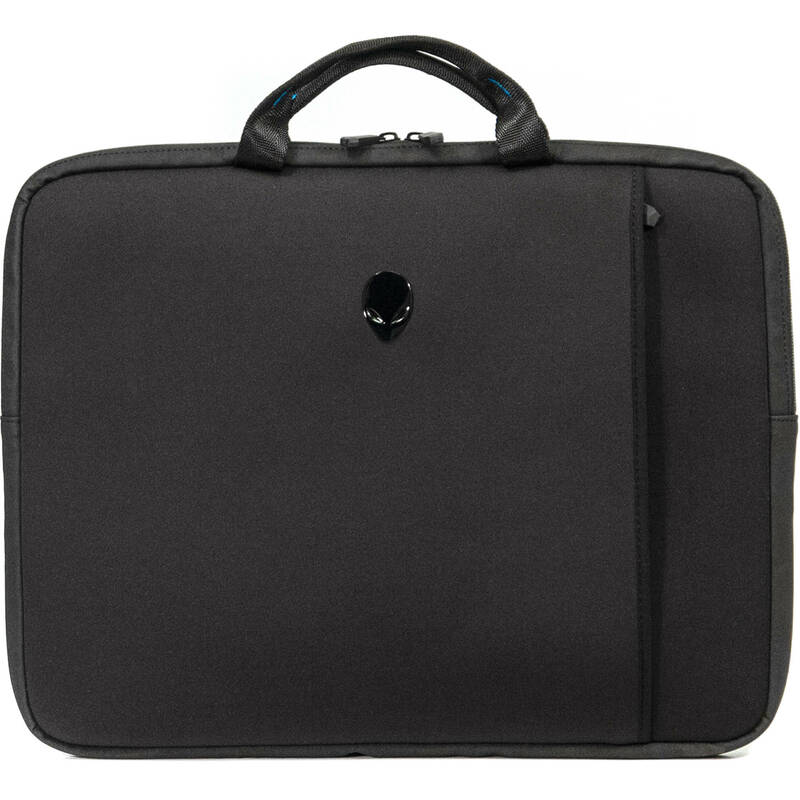 The Alienware Vindicator 2.0 Neoprene Sleeve from Mobile Edge is made for the 15.6" Alienware 15 R3 laptop and provides it with 360° protection. Crafted from soft lycra, it has a matte black alien head logo and alien-engraved zippers to match the design of the Alienware laptop. Furthermore, it has a non-slip base so it won't slide around in a bag and nylon handles should you wish to carry it instead. Its oversized exterior pocket can be used to hold a power adapter, flash drives, and other miscellaneous gear. Box Dimensions (LxWxH) 16.3 x 14.5 x 1.4"